Volunteers make a big difference to the lives of our residents, who thoroughly enjoy meeting and interacting with a range of people living in the local community. Our team of volunteers also complement the professional services provided by our team members. Currently at Hallmark, we have over 100 volunteers across our 17 care homes in England and Wales, who contribute an average 620 hours a month. Throughout this week all of our homes will be recognising the outstanding contribution from our incredible volunteers with thank you cards and a small gift of appreciation. This is in aid of Volunteers’ Week, which is an annual event that takes place from 1-7th June and gives companies a chance to a big thank you for all the work our volunteers do. It also helps encourage more recruits to taste the satisfaction that helping others in the community can deliver. In this article, we hear the stories from some of our amazing volunteers and the positive impact they have on our residents every time they visit. Stella Lightman has volunteered every Tuesday at Ty Enfys, our care home in Cardiff for the last two and a half years. She is an active member of the U3A, also known as The University of the Third Age which provides life-enhancing and life changing possibilities for the elderly. Stella uses this membership to her advantage, working closely with the residents creating new opportunities for them to learn new skills. 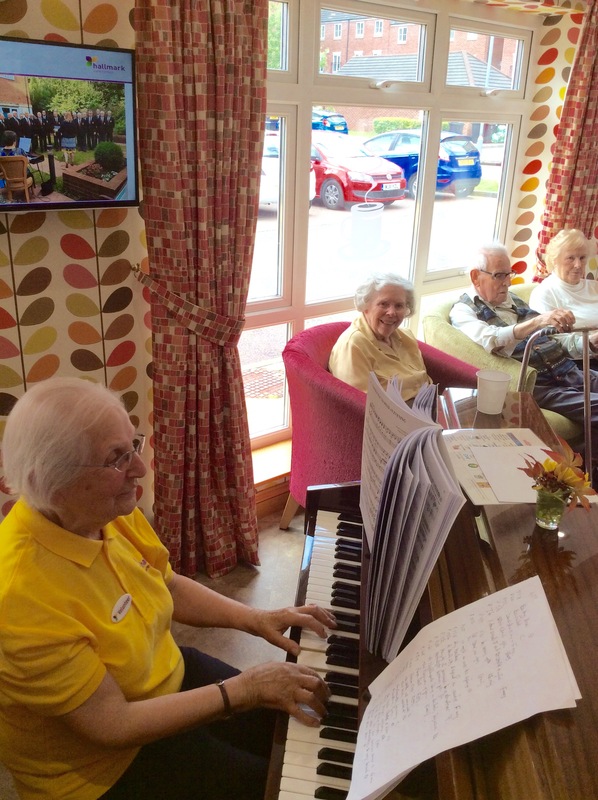 She also entertains residents musically by playing the piano for them every week. Stella has had a passion for volunteering at Ty Enfys since her husband, who was a resident at the home, sadly passed away. This led to Stella wanting to express her gratitude to the home through volunteering and helping others. For Stella, it was also an opportunity for her to meet people who have had similar experiences and mutually support each other. 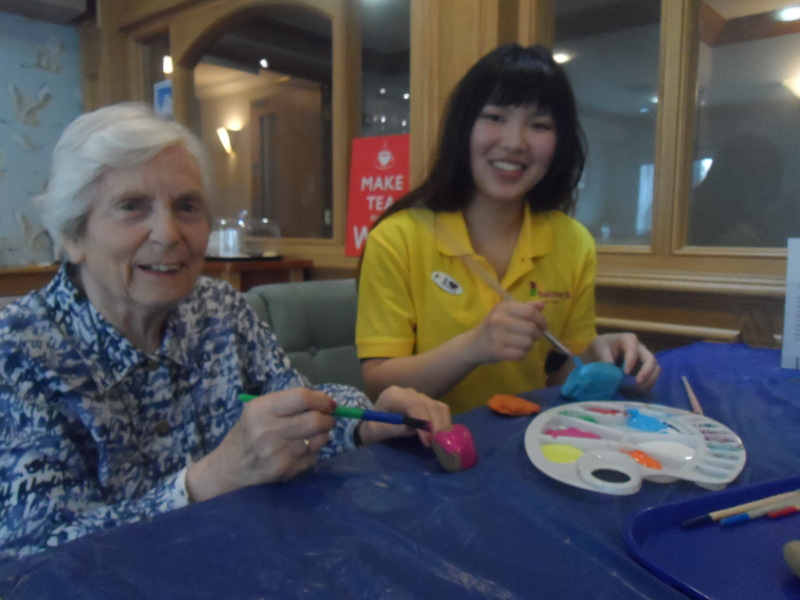 Yvonne has volunteered at Lakeview, our care home in Surrey since December last year. 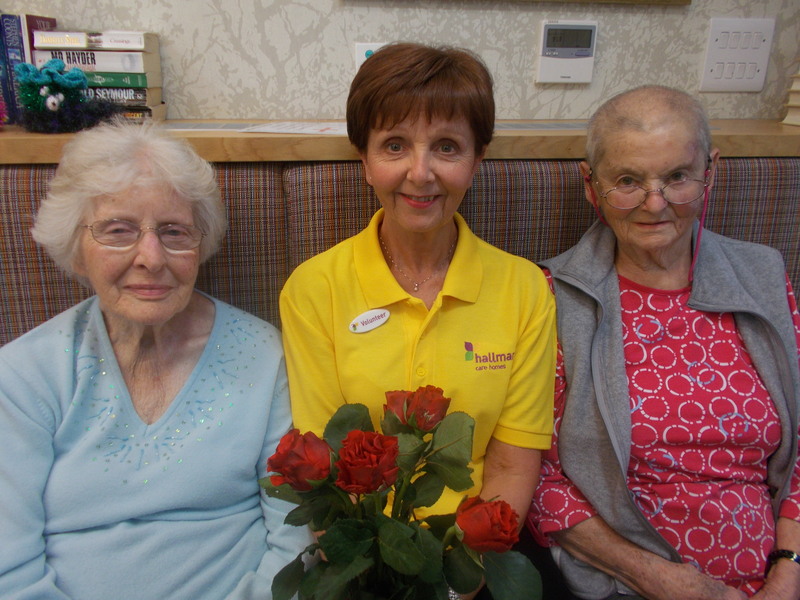 She has been actively supporting the Lifestyles Team with daily activities and outings. One day she might be helping the residents with flower arranging and other days she might be reminiscing with them over a cup of tea and cake. Yvonne has always had a passion to get involved in the local community and she wanted to volunteer for a company which would be flexible and allow her to learn new skills. Yvonne said: “This opportunity has taught me no matter what age you are, you can always learn new skills and enjoy life. Eileen has volunteered at Bucklesham Grange, our care home in Ipswich since December last year. Eileen has helped team members by joining in with activities, teaching residents how to use the internet and send emails to their family, and talking to them about their life.